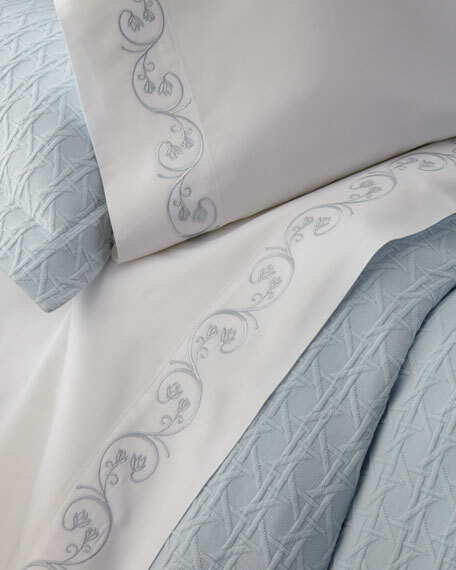 "Cassy" duvet set in pima cotton sateen. Two king shams, each 21" x 36". Two standard shams, each 21" x 26". 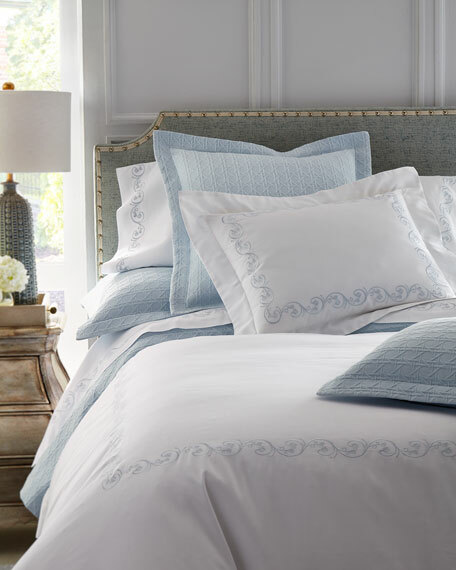 Pima cotton sateen sheets and pillowcase set, featuring embroidered vine border. 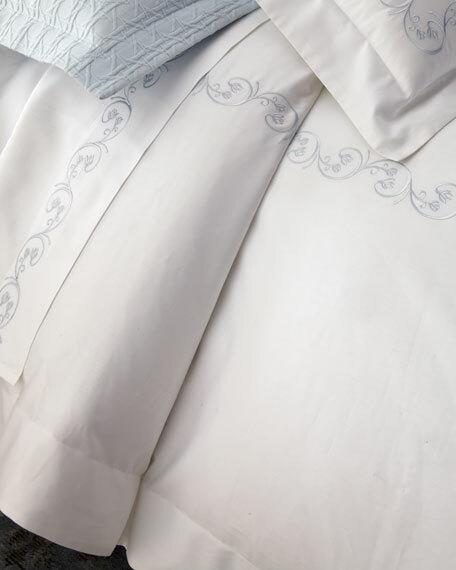 Fitted sheet, 39" x 75" x 17". Flat sheet, 74" x 114". Two pillow cases, 22" x 33". Fitted sheet, 78" x 80" x 17". Flat sheet, 114" x 114". Two pillow cases, 22" x 42". Fitted sheet, 68" x 80" x 17". Flat sheet, 96" x 114". 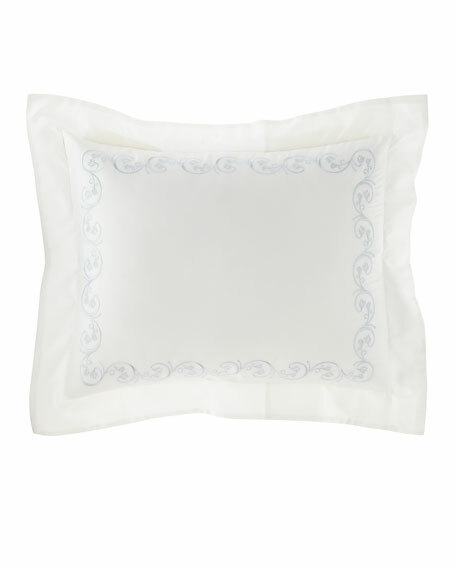 Fitted sheet, 54" x 75" x 17".